Aloha Friday everyone!! We say this every Friday here in Hawaii. There is even a song called Aloha Friday. My daughter's first grade teacher taught it to her and she used to sing it all the time. I know I have been slacking a bit on my posts, but I have been playing around creating fun things at home, between surf sessions of course! I really love all of those cute clip charts and there are so many great freebies out there, but the original is from Rick Morris. He has a great PDF on how to implement in your class if you haven't used it before. He has some great ideas. I am going to have the kids decorate their own clips. 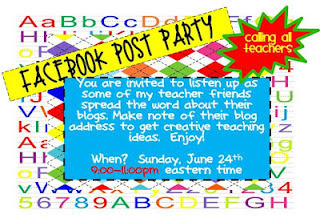 I think it will be a fun beginning of the year project and help them take ownership of the clip chart. I will probably put out some paint and stickers and see what they come up with. Anyway I made my own chart to match the theme of my Common Core Posters and I am really happy with it! I have also been messing around with more ideas for digital backgrounds and I have so many I want to make. Here is my latest creation. I was thinking you may need some papers for the 4th of July so I came up with this set. Please feel free to grab them in my TpT store. Hope everyone has a wonderful Aloha Friday!! I like your clip chart! I went to Hawaii with my husband on our first anniversary. It is such a beautiful place. We don't surf, but hanging out at the beach was so peaceful and relaxing! Mahalo, I think I need to stay off of the computer all weekend!! Thanks for the freebie Corinna! I wish I knew how to make these! Very cute clip chart! Thanks for sharing! 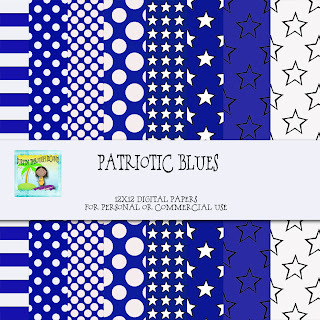 Love the patriotic blues! Awesome! Thanks for stopping by my blog this weekend. Always happy to see ya'! I have awarded your blog with the One Lovely Blog Award! Come by and visit when you can to pick it up! Congratulations! Your blog is lovely! Thanks so much, Corrina! Love the digital paper! So cute! And the paper is awesome! Thanks for sharing -- I'm grabbing that paper right away!